Posted on Monday, November 12, 2018 by "T". 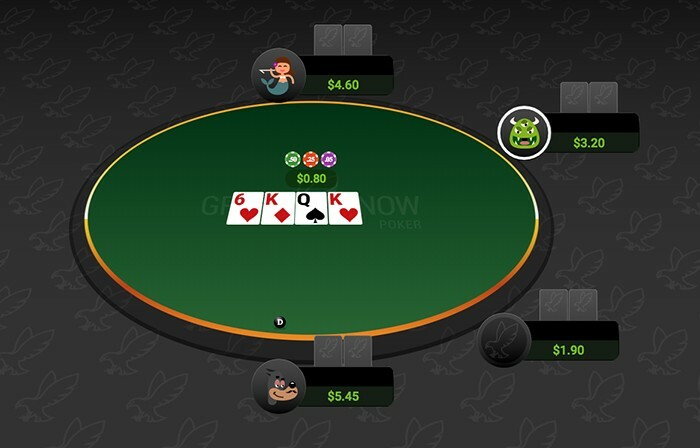 GreySnow Poker is the first poker site owned and operated by a Native American Tribe. And it makes a difference. A difference in fairness, a difference in transparency. A difference in the site's culture. Everybody offers a variety of cash games, tournaments with guaranteed prize pools and freerolls. So does GreySnow Poker. But what everybody doesn't do is make the way they take rake so transparent and so fair to the individual players and the wider poker community. When you sit down at a cash table, you're instantly credited with 1% of the value of your stack in loyalty points. When you leave the table, 3% of your stack is taken as a playing fee. No hands are raked. It's that simple. GreySnow poker is uncluttered by complicated loyalty schemes and our seating system is brutally fair: no choosing tables, no targeting of players by professionals with sophisticated seating software. We're the world's first Indigenously owned and operated poker site, and it shows. It shows in the way we care for the game, in the way we care for the players, and in the way we've tailored our site's impact on the poker ecosystem. Enjoy a better, simpler, fairer playing experience from the caretakers of the land wisely acting as stewards of the game. 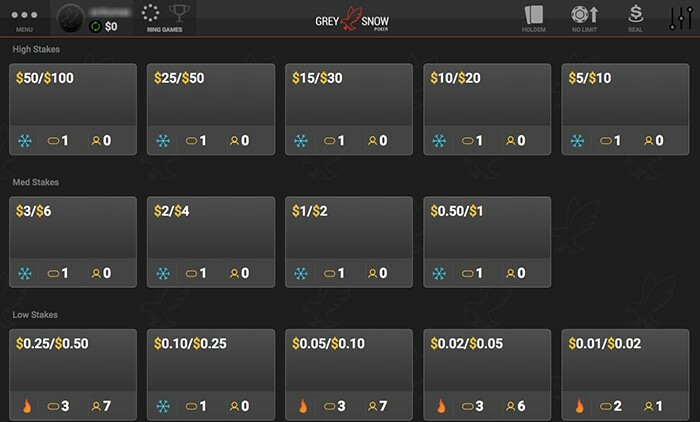 Join GreySnow Poker and get $5 Free! No Deposit Required! 19 comments for "Introducing GreySnow Poker - a new era of sustainable poker simplicity"
Always a good thing seeing a new site coming up. Breaks the "monopoly" and adds more to the player's benefits. Interesting also that is an american site. Their personal touch is the one with the rake system. The thing with the tables that you can not choose, as it has been said already, is not new. This is something new in the world of online poker ( i do not think this method has been used until now of any room with real money ) and is a tax that will be highly appreciated by poker players. That means this Native American Tribe will operate in Europe as well, but they will have to attract players quickly, or they will not resist in this competition that exists between poker rooms. It is a new site indeed with a new system. It may be proved a good one. I look forward to reading about how this is going down and &#373;hat traffic it is attracting. I will be particularly interested to see what actual and realised benefits this process brings to the variety of players out there. Good luck to them for their venture. I wonder if it wîll catch on and how long this will last. Is this the resurrection of Duck Poker bad software and with the same owners?? Long live 888 Party and Stars. If i read the reports correctly it is a resurrection of a site called pokertribe.com. Interesting fact: even being from North America, the room has a license from the Isle of Man. 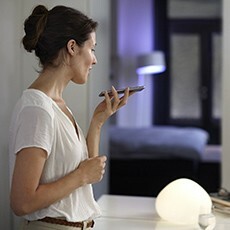 So aiming in a large part on the european market. Understandable, as online poker is still unaccessible for players from the US. Well problems about this site is deposit and withdraw, first you can only deposit and withdraw via netteler or MuchBetter ( did anyone know what is that? ), alsoyou cant deposit via skrill or bank or withdraw on bank so that so stupid, I try to withdraw money what I win on freeroll but admin write me how I need first deposit via netteler then do some wager, so I am little scary, meybe this site is SPAM? Guys did anyone registre on this site and what do you thing about software ? Also I cant fined Bankrollmob freeroll on their lobby, dont know why but I am not blined. When you go on freerolls on Bankrollmob forum you can see today had freeroll in GreySnow Poker room in 19:00 but THATS NOT TRUE ! I make account on GreySnow Poker before few days and got my 5$ free tourney money i try to deposit but i cant .When i try to deposit it tel me that i didnt fill all info ? i look and see that ask me my phone number i write it but tell me the data can be fill right now try again latter and that is the last 3 days same thing every day. The good thing is that you got the bonus. It is a new room so someone could say that these problems are in the program. Just contact their support and ask about that. GreySnow Poker... That sounds otherworldly. So, is this online poker room operated by Native Americans? That's interesting. I will need to find out what types of deposit and withdrawal methods are available at GreySnow Poker prior to opening an account with them. As a new room they may offer good things like freerolls, deposit bonuses etc. There are already some reviews about them. The interesting thing of course is, that while it is a US site, it is not ope to US players. Plus they must having restrictions for other countries also, like ours.